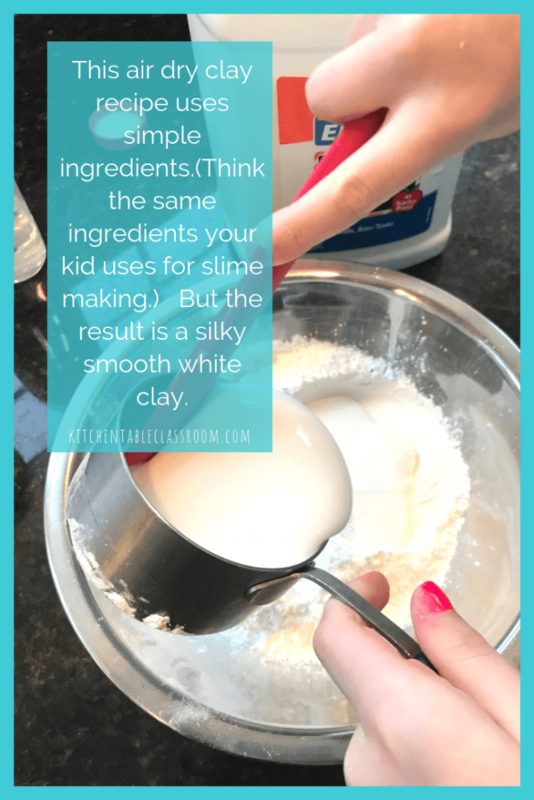 You know the ingredients your kiddos like to stockpile for making slime? 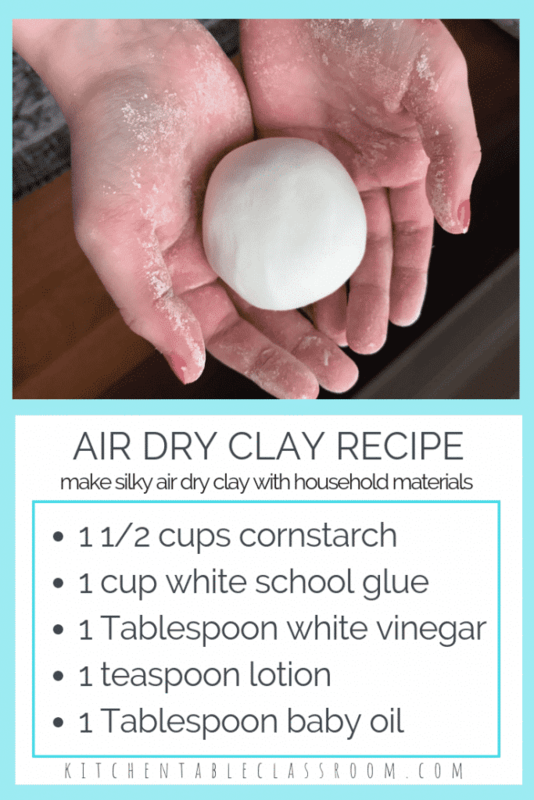 Use this simple DIY recipe to learn how to make air dry clay with everyday, household ingredients. This DIY clay is silky smooth and pure white; a super sensory activity no matter what you choose to make with it! Grab some white glue. We buy Elmer’s glue by the gallon because it so much cheaper than picking up the little bottles at the store. Head to the pantry and grab cornstarch and white vinegar. Lastly you’ll need a bit body lotion and baby oil. What a weird combination, right? These air dry clay ingredients may sound a little odd and a lot sticky. But in the right proportions instead of slime you get a super smooth white clay that will air dry perfectly, no heating required at any step. And best of all is the fact that all of those ingredients common. This DIY clay is a perfect replacement for the more expensive store bought air dry clay or polymer clay like Sculpey. Updated to add this DIY clay will not be the same consistency of polymer clay. While it can be a substitute for polymer clay in some applications it is not meant to be a replica of polymer clay. This DIY clay is super soft. It is perfect for lots of arts and crafts projects and an amazing sensory experience just to follow the recipe and make your own clay! 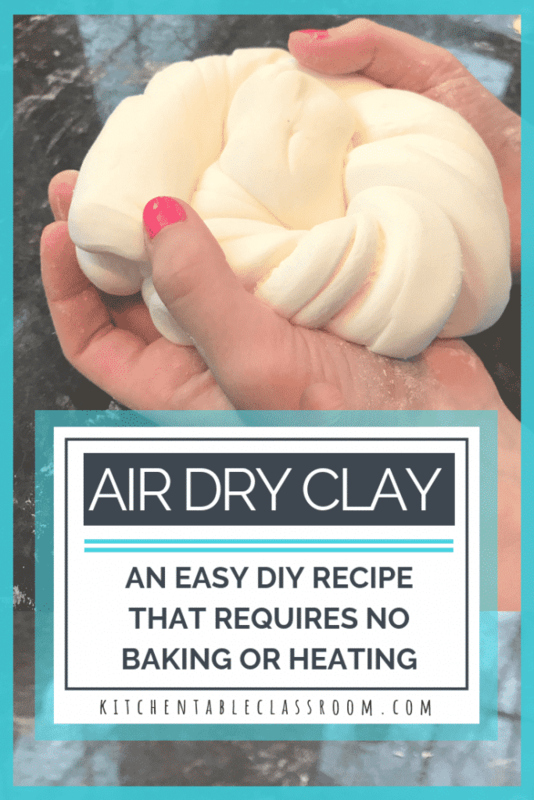 How to make air dry clay, the easy way…. Mix all air dry clay ingredients together in a large mixing bowl till smooth. Chances are your DIY clay will still be sticky mess at this point. Do not panic- this is normal and it will get better! Start with the ingredient amounts listed below and slowly add bits more cornstarch until the mixture can hold no more. Add just a little at a time. Soon the air dry clay will go from being sticky to smooth, stretchy, and super soft. You’ll know you have added enough cornstarch when it becomes difficult to mix more in. 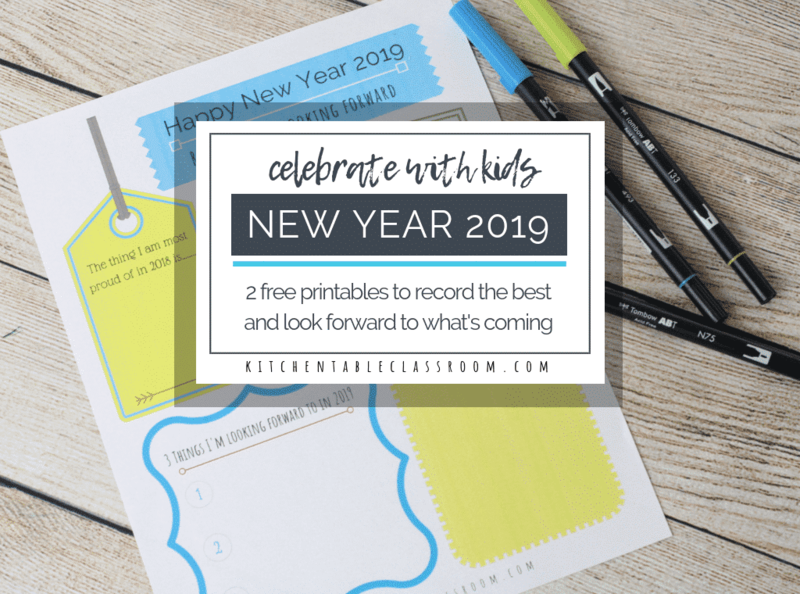 There’s quite a bit of wiggle room for getting this mixture “just right” so don’t hesitate to let your kiddos get in there and do the dirty work of mixing and measuring! Prepare a clean counter with extra cornstarch spread out much like you are rolling out a pie crust. Splash a little cornstarch on your hands as well. Turn clay out onto counter and knead it like dough. If it’s still sticky- again with the cornstarch. Add tiny bits of cornstarch at a time and the air dry clay recipe will absorb it. Try to stop adding cornstarch before the clay starts to feel dry and stiff. We have revived air dry clay that got a bit too dry with a tiny splash of additional baby oil. This process totally reminds me of making a pie. Not that I make many pies of my own but I have great memories of my mom and grandma making them. The great thing about letting your kids take part in this mixing of the homemade clay recipe is that this isn’t rocket science. 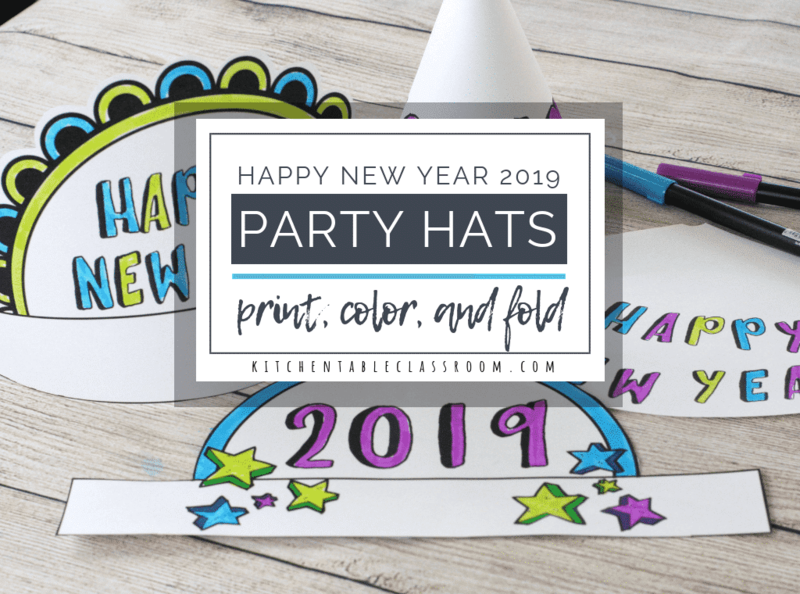 It doesn’t have to be perfect for it to be super fun, a great memory, and a totally usable ball of homemade air dry clay to craft with! Ready to use air dry clay…. At this point your DIY clay is ready to use. Mold it, make , let it dry- it’s really that simple. The drying time will depend on the thickness of the finished clay product. Projects that are super thick will take longer to dry while thinner projects made with this air dry clay recipe should be dry in a day or so. I’ve used many DIY clay recipes that looked awesome when they were wet but when they dried they left behind a cracked mess and tear stained cheeks of a little artist. Art that ends in tears is not my favorite. 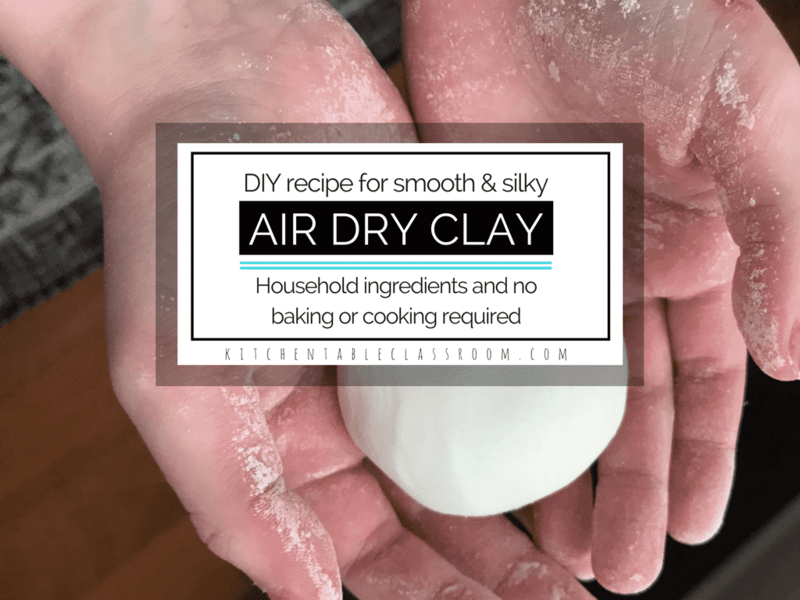 We have made this air dry clay recipe over and over and have never had a cracked project. I’m not saying that it can’t happen but it’s more than likely you’ll end up with a great finished project. 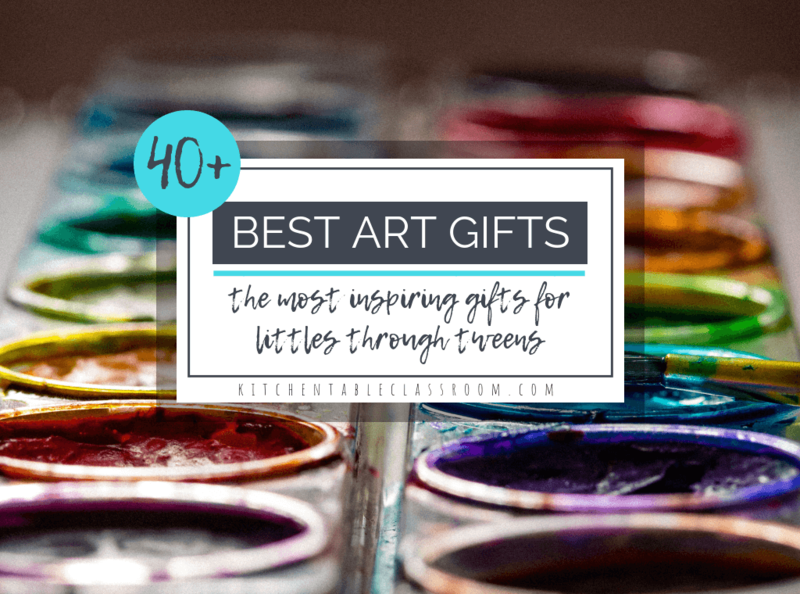 That’s as much as you can ask for in the world of kid’s art! If you’re not ready to use your air dry clay quite yet or you have leftovers you can wrap it up and save it for later. Spread a layer of cling wrap with a squirt or two of lotion and wrap tightly around your DIY clay. This keeps the air dry clay from sticking to the wrap; not necessary but definitely helpful. Put in the fridge and store for up to a week. Now that you know how to make air dry clay the possibilities are endless. Air dry clay texture pendants…. These are such a fun, simple activity that results in the sweetest little necklace pendants. This is a great project when you’re looking for a gift or finished product that really “pops” but isn’t a cookie cutter craft! If you’re working with a larger group these also take very little clay and very little storage room while they dry! Leaf bowls from DIY clay…. These leaf bowls are another great example of how to use this DIY clay. These are so pretty and colorful. Nature provides the shape and details of these bowls. 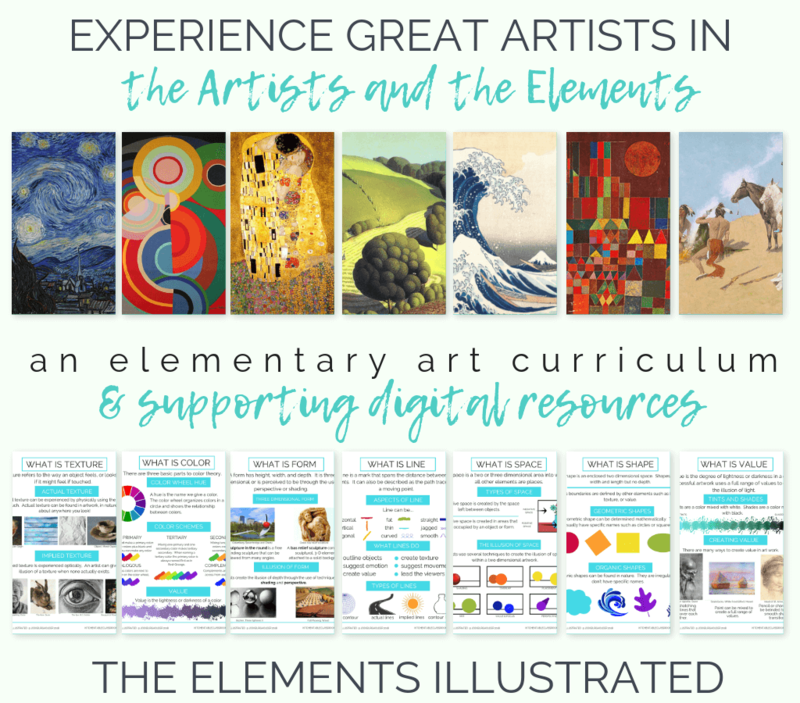 We finished ours with watercolor and oil pastel but there are lots of possibilities! 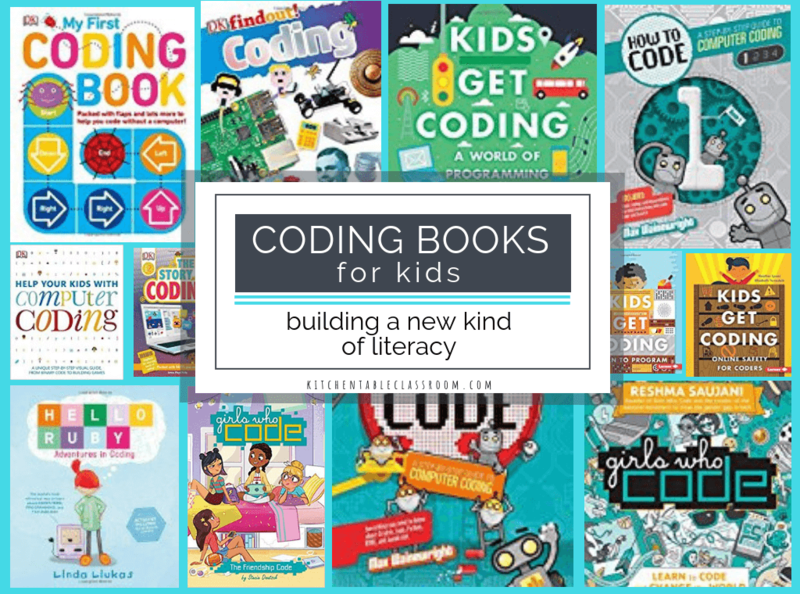 These are a great project for any age or skill level. I can see these being really successful in class with kids or adults that may have special needs and need accommodations. Another fun possibility is to learn how to make colored air dry clay! Add one additional ingredient and making air dry clay turns into a color mixing experiment. The finished product won’t even need to be painted, the color is already there! If you enjoyed learning how to make air dry clay please share this post on your favorite social media channel. Every single share help me to bring you more free printables and fun projects like this DIY clay! Do you think non-petroleum mineral oil, like caledula oil would work? Hi Kathleen! I haven’t tried it but I would be think it would likely work. If you try it let me know how it turns out! What about a potato starch or arrowroot powder? I am allergic to cornstarch and petroleum products. I think I may experiment! Hi Trish! I would think both of those would be likely to work because their consistency is so similar to cornstarch. I would be excited to hear your results. If you experiment I’d like to know how it turns out! 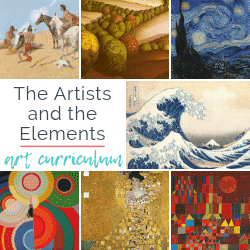 Can the dried clay be painted? If so, what kind of paint would you recommend? Alternatively, do you think colors/glitters could be added to the recipe like they would be when you make slime? Thanks! This looks fun and easy, and I think I even have the ingredients! I’ve been wanting to make a 3D model of my. little Bookwyrm to help me with drawing him from different perspectives. I think this will be perfect! What a great idea Lee. I’d love to see it if you do! I’ve been meaning to stop by and let you know how it went! First, a word of warning, it is not advisable to make this recipe while also making dinner — every single family member will assume it is some kind of AWESOME frosting!!! I made a 1/2 recipe as that was all the glue I had. It was delightful to the touch — silky, and stretching, and oh so soft. It did not hold it’s shape though (like playdough or Sculpy). We ended up making a bunch of little balls (24 total) and letting them dry on plastic wrap. It took 2-3 days for them all to be completely dry. They can be painted with acrylics, but not soaked in water (now we have 23). They are very light and sturdy and all over the house. I keep finding them in odd places. Haha, Lee. I should add a disclaimer. My kids thought the same exact thing about it being edible. It is not as good for tiny detail work like Sculpey is but we did find that adding more cornstarch helps. We started with the recipe given and then added more cornstarch till it wouldn’t absorb more. Why both lotion and oil? I’ll try to do it just like this, I kind of need to learn the way my kids go through play dough. I just don’t get why both lotion and oil. Isn’t the lotion a mix of oil and water held together by an emulsifier? I wonder if the emulsifier does something here, although it’s very little of it in the end product. I don’t know the science behind it- I just know it works. Haha. If you mix it up I’d love to know what your results are! How long will it take to dry. I am running a week-long summer camp and would like to know at what stage to make it so that the children can paint it too! Like any clay the dry times depends on the thickness of the finished product as well as the humidity in the air. My pendants were dry in about a day and a half but we made some figures and pinch pots that were heavier and they took closer to a week to be dry. I hope that helps! The amounts you’re looking for are part of the third image in the post. 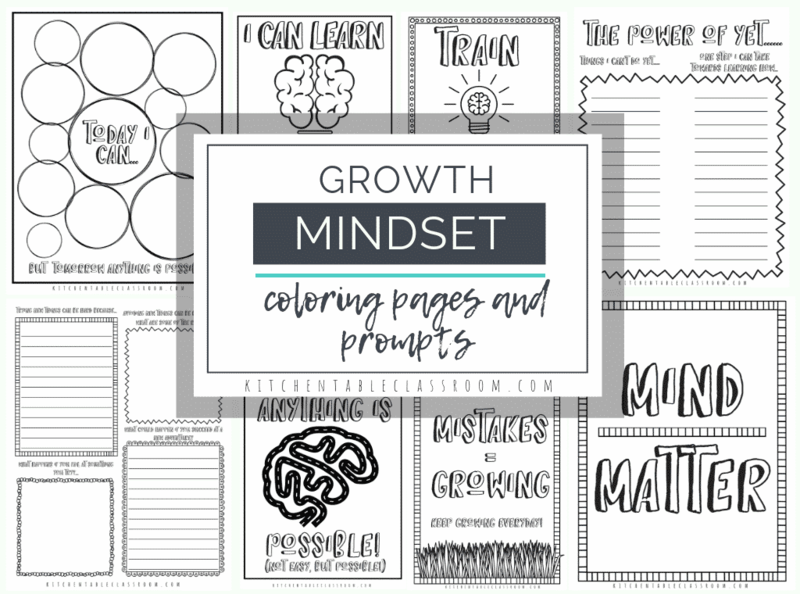 I will also add those to the text on the page- good idea! I think as is the dry clay would not withstand the weather. Being that one of the components is school glue I would guess it would not stand up to weather. I think if you sealed it really thoroughly with some kind of waterproof sealer it would be okay. Our end results did not crack at all. The finished pieces were just like the they were when they were mold-able- no cracking or shrinking! This looks so fun! I’m planning to make it for my daughter’s birthday party – Does this need to be used immediately or can it be made a couple days in advance if stored in an air tight container? Just re-read your post, I see it can last about a week! Nevermind haha thanks! Thanks for stopping by! I’ve even kept it longer than that but it has to be wrapped up really tight! I’m in Australia…so a few cultural questions please. Is school glue like glue sticks or clag( the white waxy glue that juniors use? Or aquadhere/ wood glue? Secondly, is lotion hand lotion? I wouldn’t use it for food and drink. Because it’s made with water soluble glue it shouldn’t get wet. You could always spray it with a water proof sealant but that isn’t something you’d want to eat off of. This clay is probably best suited for other projects! About how many pendants can be made with this one recipe? I have 5 art students, so would I have to multiply this recipe 5 times? Or would 1 recipe work for all five? If your pendants are of a similar size to the ones we made one recipe will definitely be enough for all five of your students! I hope that helps! Hi, How many batches would I have to make for about 35 students? Thanks for you Ideas and help. Thank you so much for replying. I’ll let you know how it works out. How much does this recipe make? I have a summer program of 15 that would love to try this. It would just depend on what you’re going to make. It is a decent amount for making something small like the textured clay pendants. If you’re making something bigger like the leaf bowls I would say 2 batches, maybe three for your group. Have you ever added paint or glitter to color the dough? I’d like to make it silver/glittery but I’m not sure if that would ruin the formula…? Any tips? approximately how many pendants could be made from one batch? Barb-a bunch! Maybe 20, depending on the size! I’m not sure Alicia- I’ve never tried it. But they are both acidic so it might? If you try it let me know! Yes, you can use lemon juice. Can this recipe be used with cookie cutters to make Christmas ornamens? I haven’t specifically tried to use cookie cutters but I would think it would work. You might want to coat them in cornstarch first to prevent sticking! I’d like to make family heirlooms and was wondering if this will last or if it will erode over time. Thanks! Our oldest pieces with this clay are about a year old and don’t show any signs of getting crumbly, etc. I think as long as they are inside and kept out of the elements they would last indefinitely! Will the air dry adhere to a gourd? Hi Sherie! That’s a good question. I’ve never tried but I would doubt it. This air dry isn’t really “sticky” You could maybe try the recipe with a little less cornstarch which would make it a bit stickier!